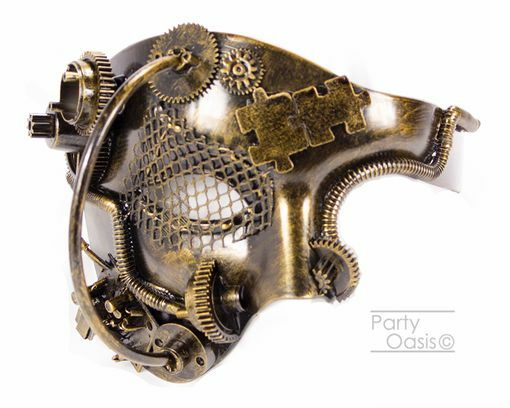 This steampunk half face mask is sure to turn some heads. It is gold toned and looks awesome. "The Consolidator"